Dark Place to Hide begins with the ultimate betrayal. Harper fears for the life of his wife Dee who has been admitted to hospital because she has suffered a miscarriage. Only Harper knows he is sterile after a sarcoidosis infection over a year ago. Harper is confused and angry and torn between still loving his wife and wanting to confront her about her infidelity. When Dee is back home from hospital Harper finally talks to her but her mind is still blurred by the medication and she doesn’t seem to understand what he is getting at. A few days later Dee takes the car to the village centre to get some medication for Harper – and vanishes. The only signs of life are a text her sister Alexa receives a few days later and some bland Facebook posts. Dee’s friends and family agree she would have just wanted and needed some time alone after the miscarriage. Harper even fears she might have run away with a secret lover because he wasn’t the father of the baby. AJ Waines shows typical life in the secluded environment of a small village where people have secrets and where not everything is as pastoral as it seems. The thoughts and fears that occupy the mind of the male protagonist Harper are clearly proof that AJ Waines understands male thinking very well. 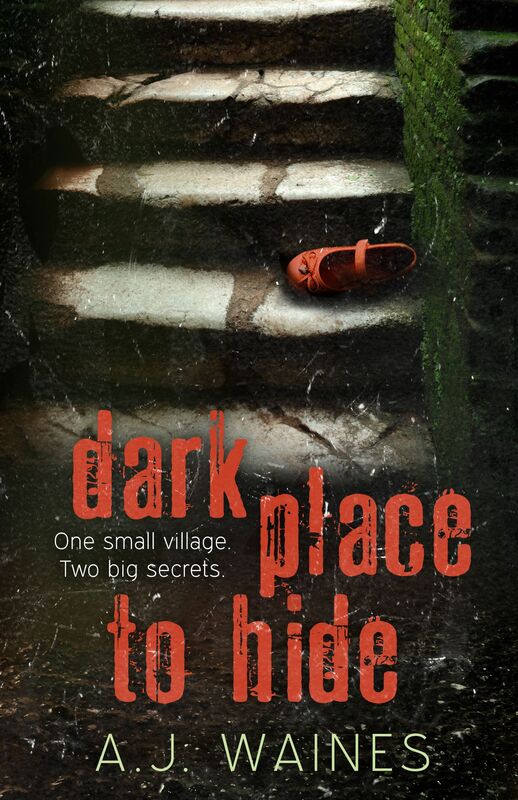 Dark Place to Hide draws the reader into the intriguing story with a nicely created amalgam of tragic, nice and very wicked characters and the plot twists are a welcome change compared to many other books. If you are looking for a great thriller to chill you out during your holidays then Dark Place to Hide is a must for your list! As part of her blog tour I’ll be having A.J. Waines over for an interview on the 6th of August.